While representative democracy seems to be in crisis, direct democracy at the local and regional level is currently fast-growing. A variety of new mechanisms allow citizens to participate in political decisions regarding the future of their cities. Whether we are talking about public consultations, co-design, online participation or participatory budgeting, the tools are various and becoming increasingly popular in many cities around the world. One of the biggest challenges is to ensure that these participatory procedures truly contribute in strengthening the citizen’s power over decision-making. 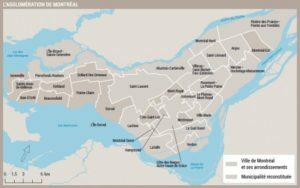 What is the state of the art of participatory democracy in Montreal? How are other cities strengthening local democracy? What innovations can be done to improve citizen power in shaping their cities? The forum will seek to portray current challenges of public participation while exploring opportunities to strengthen local democracy. Two days of conferences, panels and collective discussions will explore the various challenges facing public participation in our cities. Based on theoretical and practical basis, the forum will gather community groups, citizens, academics, professionals and state officials from Montreal and beyond to discuss opportunities of democratizing the city. Closing Discussion with the public: What future for Montreal? http://ipamontreal.org/wp-content/uploads/2018/01/logo-good.png 0 0 IPAM http://ipamontreal.org/wp-content/uploads/2018/01/logo-good.png IPAM2018-09-11 16:05:022018-09-11 16:14:53Participatory Democracy Forum: What future for Montréal? 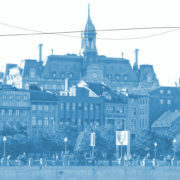 On February 13th, the second round table of the Montreal Institute for Alternative Policy (IPAM) was held on the surplus hospital sites in Montreal. This meeting brought together 45 participants from politics, academic and civil society was rich in ideas and proposals. The Ordre des urbanistes du Québec announced the names of the 30 laureates of the Blanche-Lemco-Van-Ginkel Prize during its 50th anniversary gala which took place at the Palais des congrès de Montréal, last 23rd or October. The Blanche-Lemco-Van-Ginkel Prize is awarded to non-urban planners of from all walks of society (citizens, elected officials, managers, promoters, professionnals, etc.) for their significant contribution to the growth of urban planning in Québec since 1963. The OUQ thus underscores that the improvement of our communities and the planning of our living environments concerns every citizen. The OUQ also wanted to posthumously grant this title to Pauline Gauvin and Andrier Sainier for their contributions to urban planning. IPAM is proud that two of its members, Dimitrios Roussopoulos and Ron Rayside, have also been nominated. We invite you to consult the full list of laureates by following this link.